Are we really getting healthier with fitness apps or they are just the latest trend? The popularity of health and fitness apps is increasing exponentially over time, especially in America. Statistics suggest that about one third of smart phone owners in the US use wellness apps and women are fonder of such apps than men. Since the year 1970, the obesity rate in American adults and children has more than doubled and social media and internet trends clearly demonstrate that Americans are growing more and more concerned about fitness. Undoubtedly, health and fitness apps increase awareness and make people conscious of their activities. One can create micro challenges and compete with friends to stay motivated. Users can also build a community with friends and inspire each other to focus on technology driven health practices. 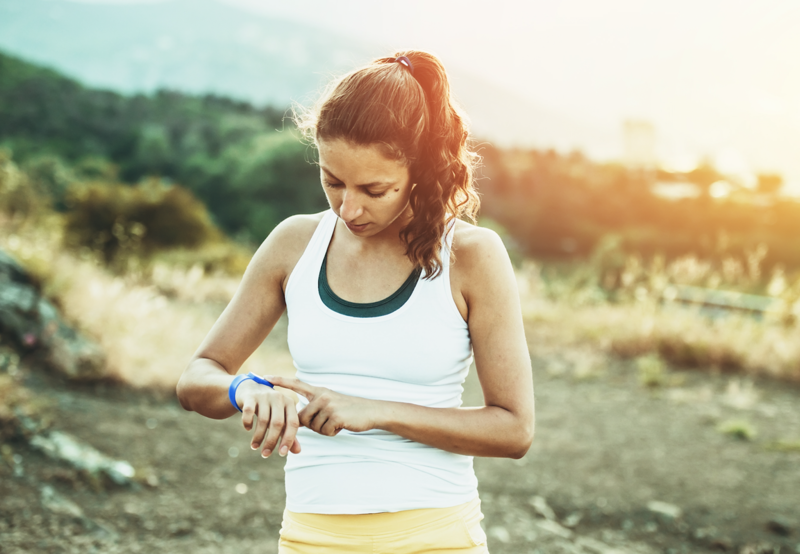 Tracking and sharing daily workout data also isn’t a bad idea. But even amid so many evident benefits of fitness apps, many health experts believe that this intersection of health and technology isn’t that fruitful as it seems to be. Here’s how the craze of fitness apps in America is actually impacting the health. 1. Fitness freaks often get addicted to wellness apps which might lead to unbalanced exercise. Such users easily fall prey to excessive exercise, compulsive exercise, exercise addiction, over-training syndrome, sports injury and many eating disorders. The apps often promote reckless behaviour where people try to exercise beyond their ability. 2. People often fail to understand that the physical requirements and endurance of every individual differ. The amount of exercise one can tolerate could be distressing for the other. Users often forget that while exercising, the focus should be your own health and not that of others. Indulging in competitions through fitness apps is risky for and could prove to be fatal. 3. Many health app users rule out the need of visiting physicians, personal trainers or sports therapist and rely completely on the instructions of the apps. However, this could be detrimental in certain cases as the data driven applications often fail to guide through severe and unusual health issues or may give faulty diagnosis. In such cases one must seek advice of health experts. 4. Not all health apps score good as a fitness guide. Some of them may lack a powerful technology while some might not have a great knowledge base. Ensuring the quality of health apps before using them is important, otherwise the user may land into severe physical or mental trouble. Also, using health and fitness apps for general monitoring is fine but the progress must be validated by a health practitioner. 5. Wellness apps have been found to be causing extreme anxiety in the young generation. Youngsters following such apps develop a tendency to check their health status or improvement at frequent intervals which keeps them distracted in rest of their endeavours. The fitness craze of America also has a dark side which many fitness app users fail to notice. Keeping up with the trend, mobile app developers are flooding the app stores with a huge variety of wellness apps which promise a healthy life to fitness freaks as well as those suffering from health issues. However, complete dependency or lack of judicious use could turn the apps against the expectations of the users. Keeping balance is an important rule of nature that applies to everything and fitness apps isn’t an exception.